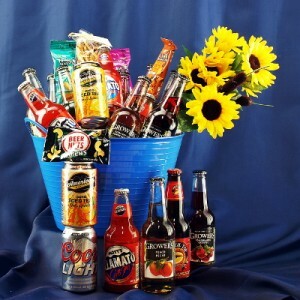 This unique gift basket is made up of several flavors of coolers and ciders and beer for a taste test of flavors. 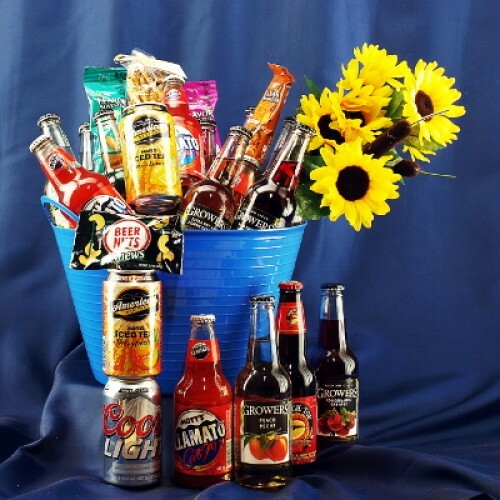 You may pick this basket to be all ciders, or all coolers or beers, or a mix of all three, to make a medley of flavors for everyone. An opportunity to mix it up and sample flavors of many kinds. Add nuts, pretzels, and more to round out this gift. A beautiful flavorful gift for anyone. All housed in this colorful plastic bucket that can double as an ice bucket for the gift.